A small gap in a young child’s smile is adorable, in an adult’s smile; not so much. So what constitutes the difference and how can you keep your family’s smiles from looking like Jack-of-the-Lantern? At our Concord dentist office, we understand that you want an amazing smile. We provide a variety of services that can restore your smile, enhance it’s brightness, or simply keep it looking great. 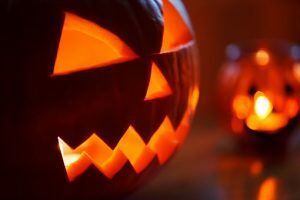 In October, while others wait for Halloween to approach, we celebrate National Dental Hygiene Month and look at the ways you can have a great smile despite the tempting treats of the season. National Dental Hygiene Month is a time for all of us to remember the healthy habits of oral hygiene. A good habit starts with brushing your teeth two times every day. With the treats of Halloween, it is even more important to brush. Sticky candy is hard to remove from teeth unless you brush. Flossing once a day helps remove any plaque and bacteria that your toothbrush simply can’t reach. It is also important to visit our Concord dentist for a dental exam twice a year. These simple steps will prevent cavities from destroying your smile. Restorative dentistry consists of procedures that will restore your smile. When preventive dentistry measures require an extra boost to keep your smile looking great, we look to restorative procedures. These services might include teeth whitening or bridgework. You might need a dental implant or a crown. Regardless of your needs, our Concord dentist and staff are here to help. An important aspect of oral health protection is dental sealants. Sealants are typically applied to the back molars once they appear. Generally, children between the ages of six and twelve receive sealants, though adults with no tooth decay can benefit as well. Sealants are painted on and then hardened. They create a barrier between the tooth enamel and plaque. This is especially helpful with molars because they have so many miniscule crevices which are hard to clean. Just make sure you protect them when eating candy on Halloween. Candy that is super sticky in nature or hard can damage or break your dental sealants. Ideally, this Concord dentist would tell you to steer clear of candy altogether. However, as long as you limit your intake and brush immediately after eating a piece or two, you’ll avoid the potential cavities that are associated with candy and sugar. The easiest way to take care of your smile and keep from looking like a Jack O’Lantern is by practicing a great oral hygiene routine. Check us out on Facebook for healthy reminders, or give our office a call. We can schedule you for an appointment or answer any of your oral hygiene questions.